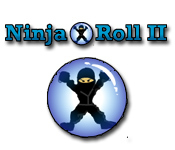 Collect all the stars in Ninja Roll 2! 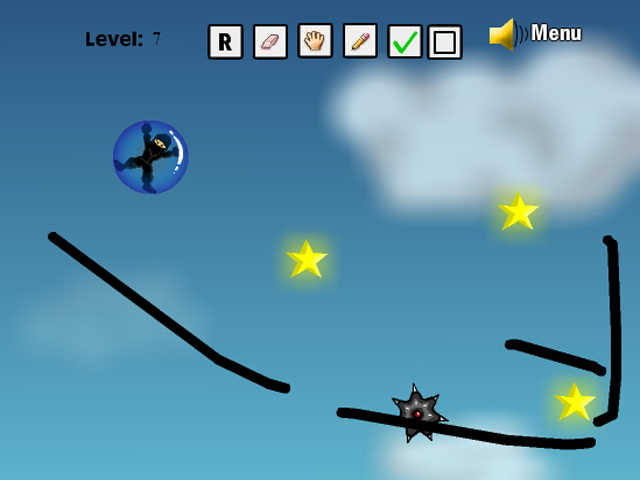 Draw a track for the ninja to travel on, and guide him to each of the stars.Collect all the stars in Ninja Roll 2!Collect all the stars in Ninja Roll 2! 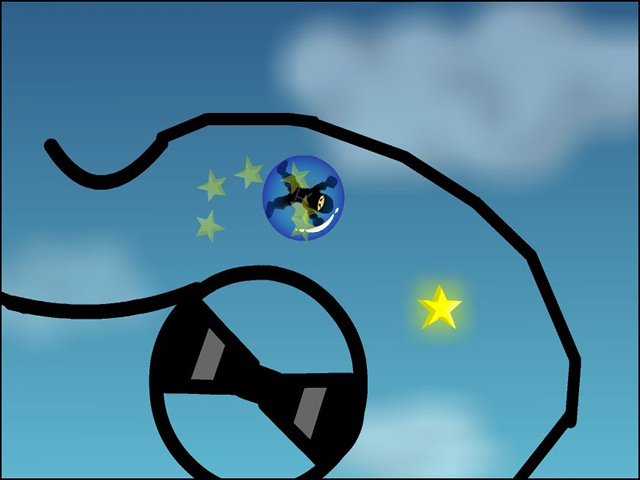 Draw a track for the ninja to travel on, and guide him to each of the stars. 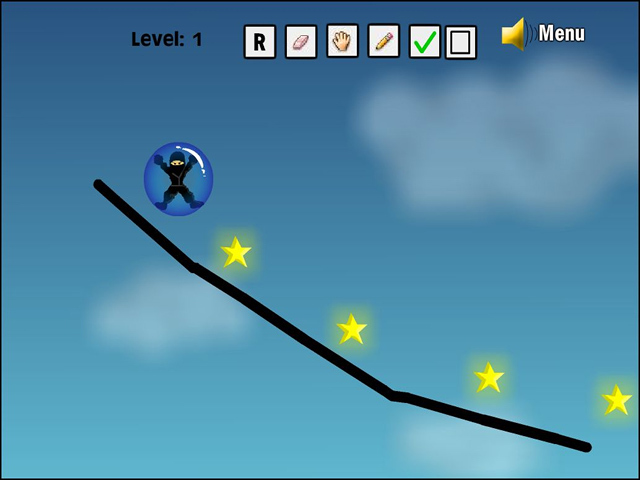 Avoid perilous obstacles and don’t let your ninja fall into the abyss! This clever physics engine even lets you create your own levels!